I'm a third-year undergraduate majoring in history and minoring in art history. Because of my love for history and museums, I'm interested in investigating the ins and outs of exhibitions and how museums operate. I find Byzantium fascinating because of the transformation of the Roman Empire into a Christian empire, and the power struggle between the emperors and the Church. 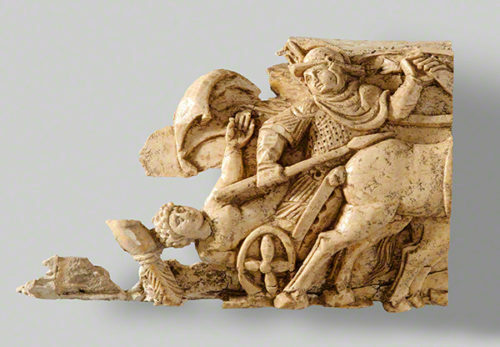 Recently unearthed from the ruins of an ancient city in Greece, a group of carved ivories provides a window into the dawn of Christian art in Byzantium.